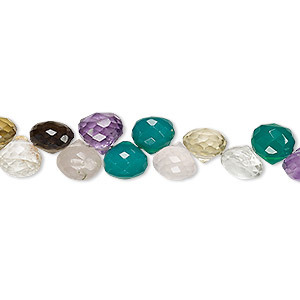 Bead, multi-gemstone (natural / heated / irradiated), 7-8mm hand-cut faceted puffed flat round, B grade, Mohs hardness 3 to 7. Sold per 10-inch strand. 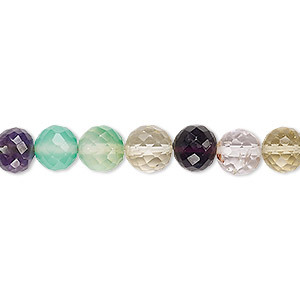 Materials can include garnet, amethyst, green quartz and more. Sizes, shapes and colors may vary with handcrafted items. 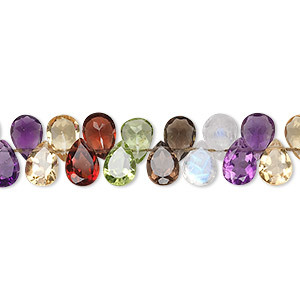 Bead, multi-gemstone (natural / dyed / heated / irradiated), multicolored, 8-9mm hand-cut faceted puffed flat round, B grade, Mohs hardness 3 to 7. Sold per 8-inch strand. 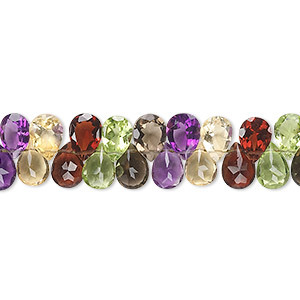 Bead, multi-gemstone (natural / dyed / heated / irradiated), multicolored, 10-11mm hand-cut faceted puffed flat round, B grade, Mohs hardness 3 to 7. Sold per 7-inch strand. 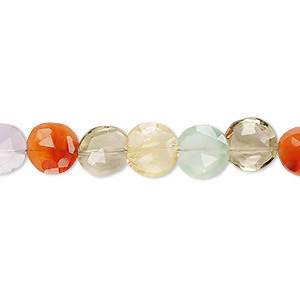 Bead, multi-gemstone (natural / heated / irradiated), 7x5mm hand-cut top-drilled faceted flat teardrop, B grade. Sold per 8-inch strand, approximately 70 beads. Bead, multi-gemstone (natural / heated / irradiated), 7x5mm hand-cut top-drilled faceted puffed teardrop, B grade. Sold per 8-inch strand, approximately 70 beads. 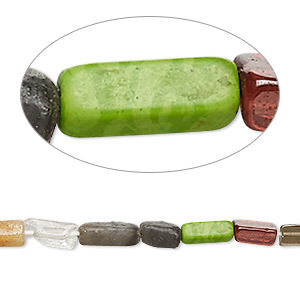 Bead, multi-gemstone (natural / dyed / heated / irradiated) and resin, multicolored, 6x3mm-13x5mm hand-cut square tube, C- grade. Sold per 13-inch strand. 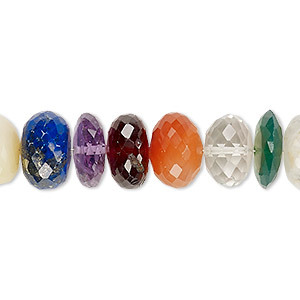 Bead, multi-gemstone (natural / dyed / heated / irradiated), multicolored, 8-9mm hand-cut faceted saucer, A- grade, Mohs hardness 3 to 7. Sold per 7-inch strand. 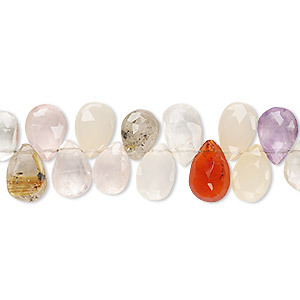 Bead, multi-gemstone (natural / dyed / heated / irradiated), multicolored, 8x6mm-10x8mm hand-cut top-drilled faceted puffed teardrop, B grade, Mohs hardness 3 to 7. Sold per 4-inch strand. 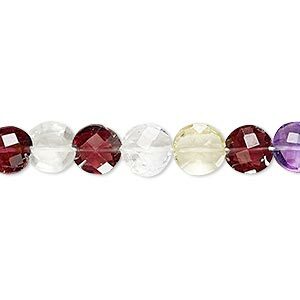 Bead, multi-gemstone (natural / dyed / heated / irradiated), multicolored, 11x4mm-12x8mm hand-cut faceted rondelle and faceted saucer, B grade, Mohs hardness 3 to 7. Sold per 8-inch strand. 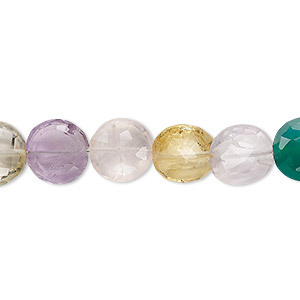 Bead, multi-gemstone (natural / dyed / heated / irradiated), multicolored, 6-7mm hand-cut faceted round, B grade, Mohs hardness 3 to 7. Sold per 7-inch strand. 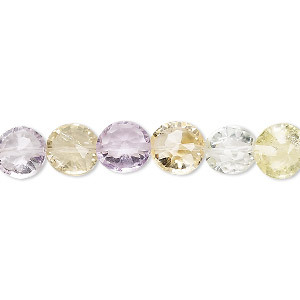 Bead, multi-gemstone (natural / dyed / heated / irradiated), multicolored, 6x5mm-8x7mm hand-cut top-drilled faceted teardrop, B grade, Mohs hardness 3 to 7. Sold per 4-inch strand.